Chipotle recently launched a new negative ad campaign called "Farmed and Dangerous" spewing propaganda about today's modern farm families. Its a "comedy" that really isn't funny, in fact its downright offensive and frankly really ignorant on their part. Its the moralistic view of food eliteism that somehow as a fast food chain, they're superior in ethics, taste, and quality.... Really? 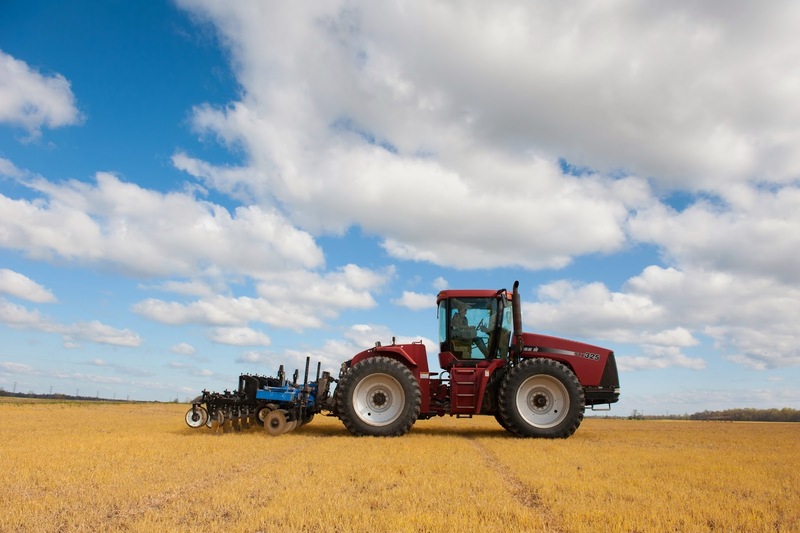 Myth: Chipotle wants you to believe that your food is produced by "industrial agriculture"
Fact: According to USDA "Ninety-seven percent of U.S. farms are family farms where the majority of the business is owned by the operator and individuals related to the operator." 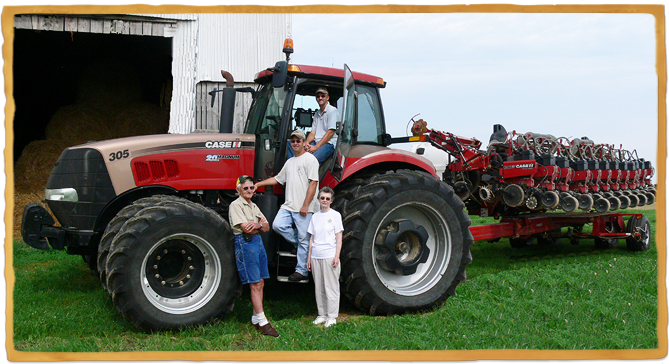 Above are four of the "industrial" members of our family who run our family farm. his whole life building our family farm. Myth: Chipotle wants you to believe that your food is produced by "factory farms". 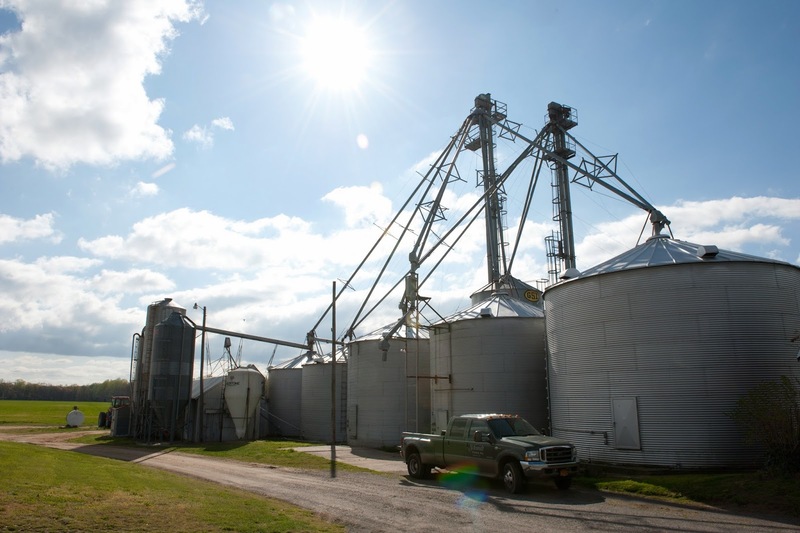 Fact: Our storage tanks for grain are about as "factory" as we get on our farm. Really, they're akin to tupperware (of sorts) for many bushels of grain. Our equipment may make us more efficient, but it certainly doesn't qualify us as a "factory". dark about what we are "really" doing on our farm. witness for yourself what we are doing. In fact, we'll give you a tour! and values in the food chain system. Fact: Chipotle is stomping on the American family farm like mine in order to further line its own pocket. My family farm is not dangerous. 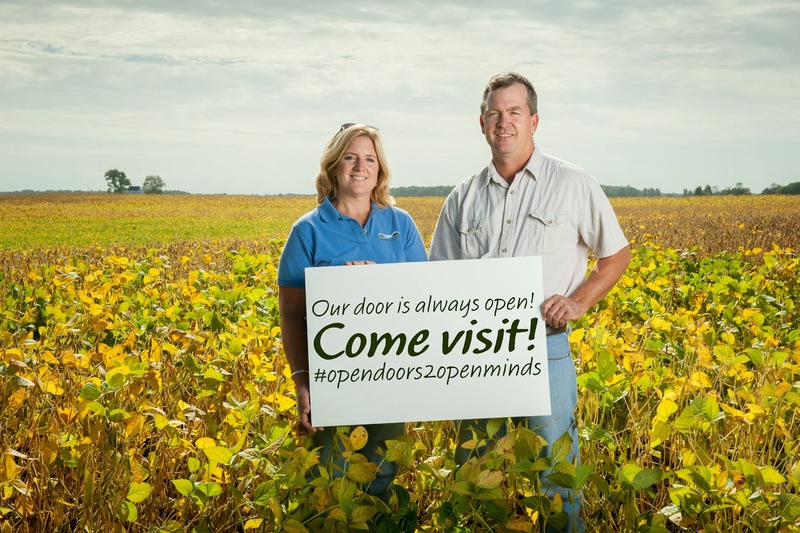 We have an open door policy and welcome people to come for tours and learn how we farm. If you have a question about how your food is grown, ask a farmer, not a fast food restaurant chain. My family is boycotting Chipotle. No one in my family will ever eat at Chipotle's again.